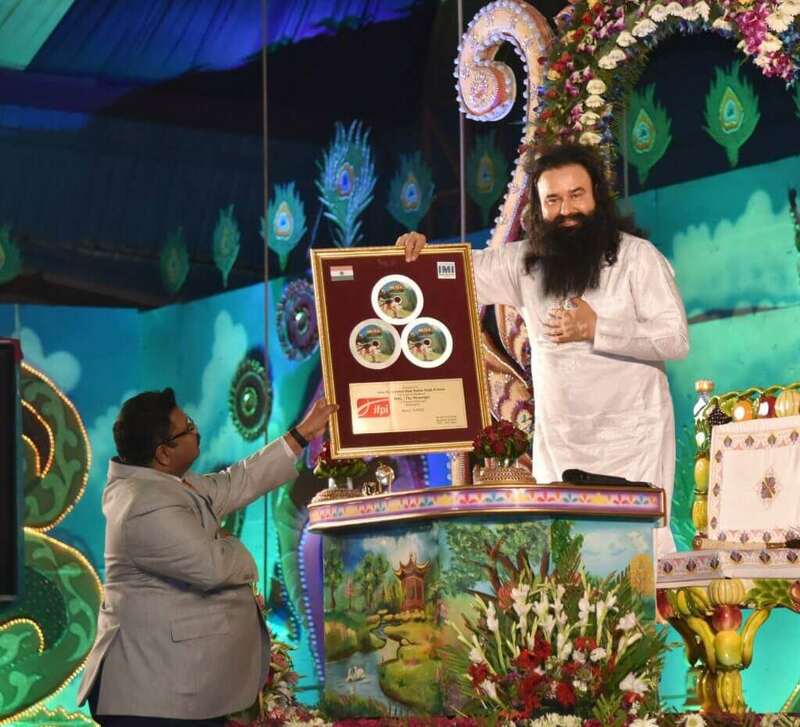 Mr. Savio D’souza, Secretary General of IFPI (The International Federation of the Phonographic Industry) in India, presented 4 Platinum Plaques to Saint Dr.MSG for four categories namely Vocals, Lyrics, Composition and Music Direction respectively. The IFPI represents the 1300 recording companies worldwide and the honor coming from the apex international organization is truly an international recognition. 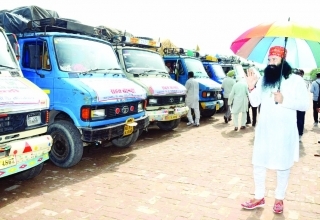 The specialised disaster relief organisation of Dera Sacha Sauda added yet another feather to its cap by obtaining a special consultative status in the UN. This Green S Wing is the largest voluntary humanitarian assistance organisation in the World with strength of 70,000 personnel who have served practically in all major disasters around the world. 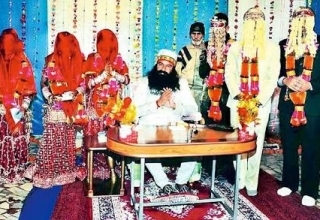 The Indian women’s Yoga squad that has garnered over 40 international medals is mentored solely by Saint Dr Gurmeet Ram Rahim Singh Ji Insan. 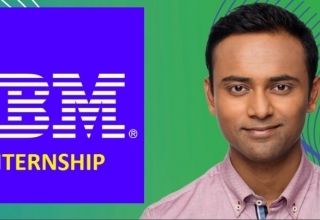 They have been the proud wielders of the Indian Tri- color in the last several world cups, and Asian championships, coming back with a highest haul of medals. In the function, the Yoga Federation of India, represented by Director Sports, Sh Ashok Aggarwal, honored Saint Insan with a special award on the occasion. 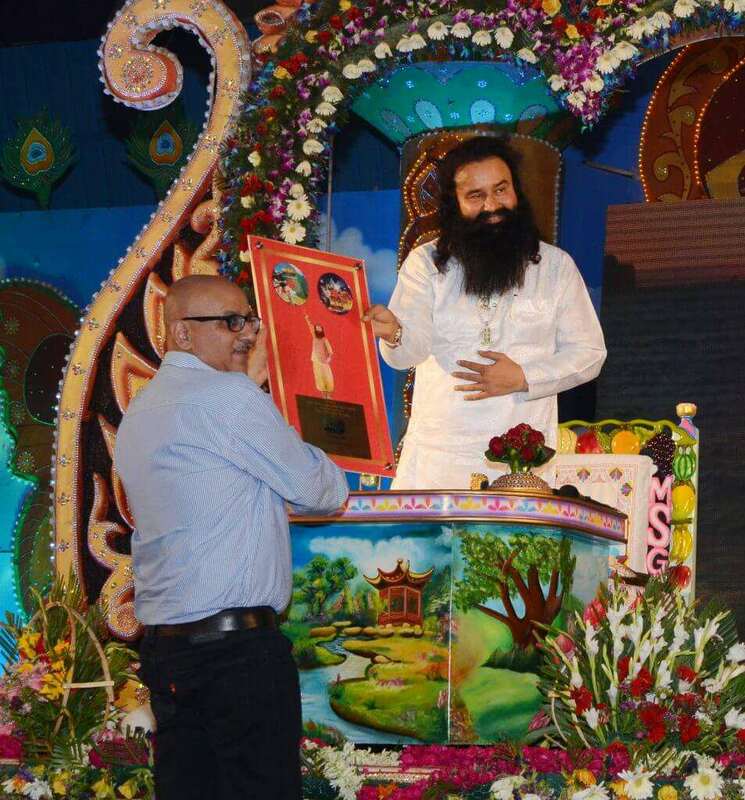 One more Plaque was awarded to Saint Dr. Gurmeet Ram Rahim Singh Ji Insan from Mr. Rajat Kakar, Managing Director – Sony DADC India on behalf of Mr. Markus Streibl, Head of Global Licence Business, SONY DADC International, for 1 Million (10 lakhs) sales of CD and DVD for MSG -The Messenger. 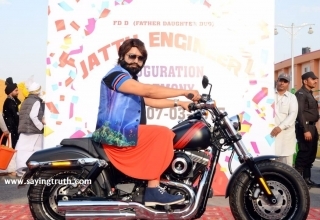 As the Dera’s foundation day was celebrated, Saint Dr Gurmeet Ram Rahim Singh Ji Insan found unexpected admirers from Bollywood. 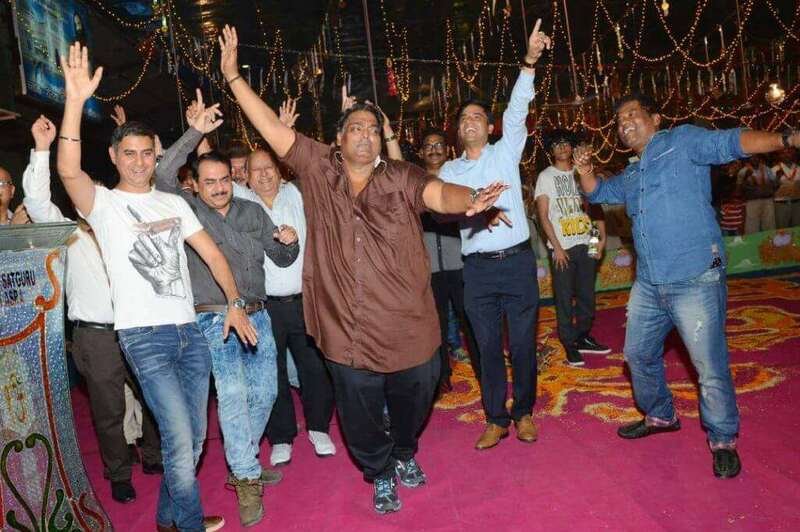 Saint Insan performed several of his famous songs and amazingly, led the whole crowd to sway not just to the songs, but also the moves that he has performed in the upcoming film, Online Gurukul. He led by example as the famous Bollywood choreographer Ganesh Acharya, Director Kittu Saluja, Sony DADC MD Rajat Kakar and others followed suit. 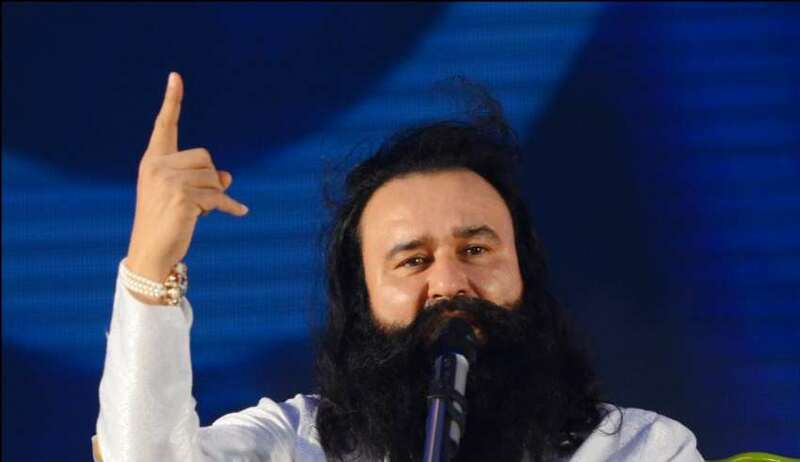 The crowd was on a song as they copied every move of Guruji, making seasoned professionals see a sight that they had never seen earlier, of the endless crowds following Guruji in unison. 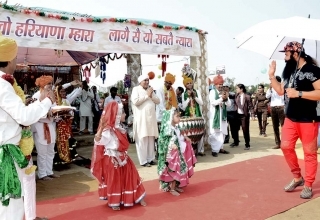 The spiritual mega event had a slick Bollywood twist that made the visitors respond in glowing terms about Saint Insan. I have come for Guruji’s love. When I had seen him in Mumbai, the radiance of his face pulled me here. I had heard of a place called heaven, in childhood. Today, I have seen it. 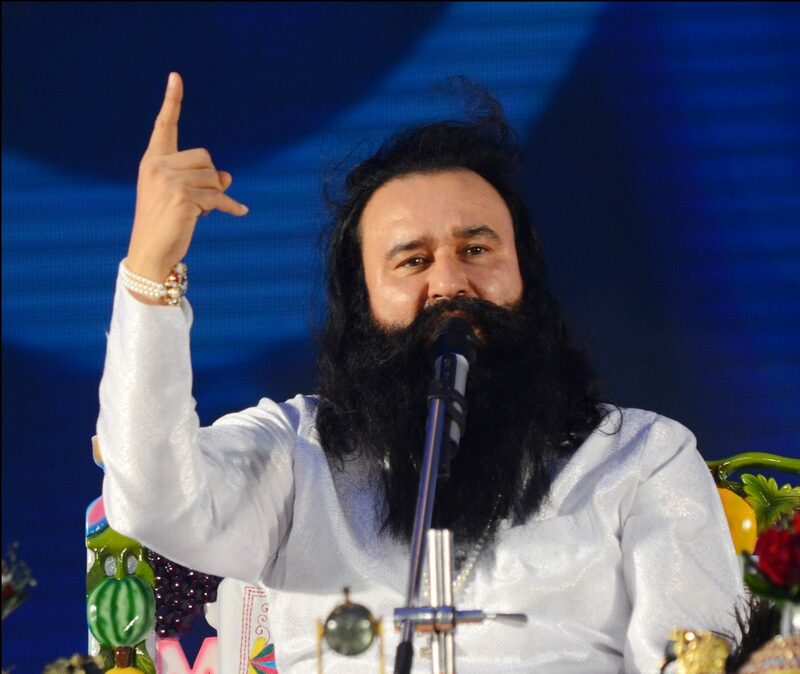 Guruji is a performer par excellence who okays his dance moves in a single take. I have worked with Shahrukh, Salman who may go up to 10 takes. I feel that I am not teaching him the steps, but he is demonstrating them to me. This endless crowd of fans, and their devotion is unparalleled. 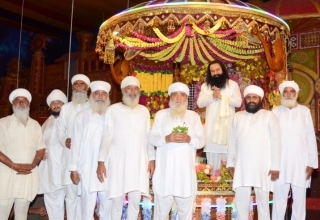 MSG Online Gurukul does not only have Guruji as Guruji, but he is playing several other roles. Till today, you have seen him as a Guru but in the film he will be seen in a younger, boyish avatar. He has performed 6 plus roles, each totally different from another. It is a rare feat, And he is a one- take artist. Guruji’s daughter Honeypreet has also given a seasoned performance , at par with best actresses. His younger daughter, Amanpreet, has sung amazingly well. 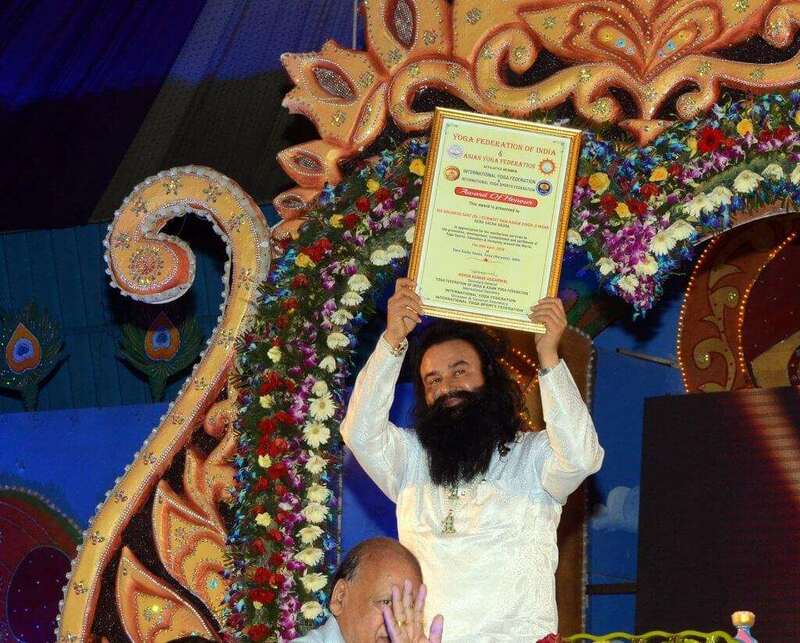 Revered Guruji is transforming society through films. A Platinum award is very rare honour. He has shown the path to the films industry and well would like him to do something about piracy as well. Moment of great joy and I feel blessed. 1 million music CD’s sold, show, a rare achievement. I always wanted to meet the magic Guru, today the whole world recognizes his achievements.